Hey, friends! 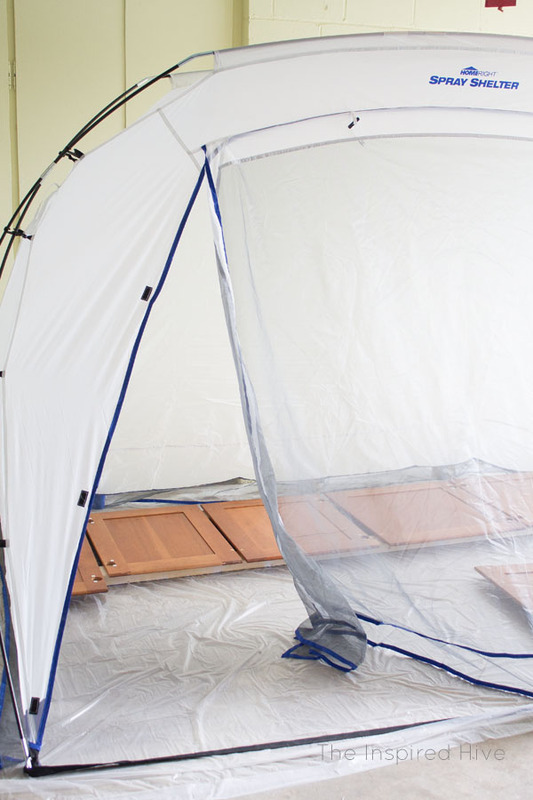 It's week two of the One Room Challenge, and project kitchen makeover is in full swing around here! 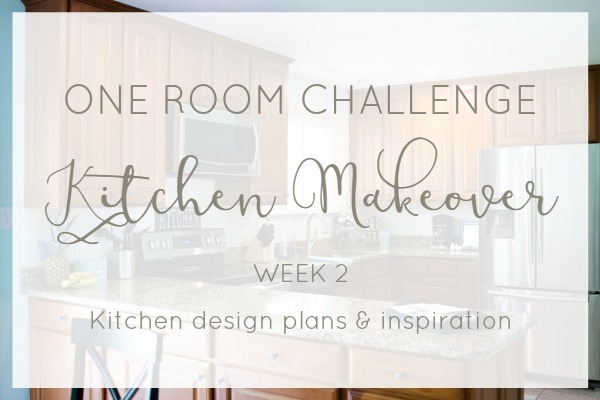 If you've never heard of the One Room Challenge, check out my week one post to learn more about the challenge and why we are updating our fairly new kitchen. Today, I want to share some of our plans and inspiration with you, and then give you a little sneak peek at our progress so far. This post contains affiliate links for your convenience. This post is also sponsored by several brands shown towards the bottom of this page. For more information, see my disclosure policy. Alrighty, ready to see our plans? Eeeek! I'm so excited for how this space is going to turn out! Fingers crossed that all goes according to plan! 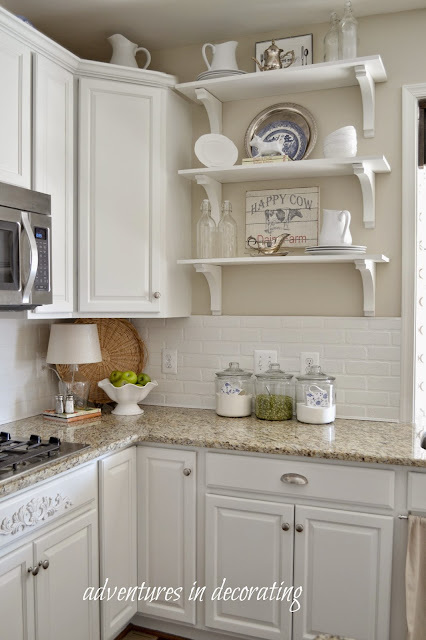 I've also been drawn to the idea of a white brick backsplash for years but never really thought it was practical or affordable. Then, at some point I saw this tutorial from Adventures In Decorating and thought a faux brick backsplash was worth a shot. Worst case scenario, it doesn't work out, and I have to replace the backsplash that I already hate anyway! So those are the three BIG projects planned for our kitchen makeover. Everything else is small cosmetic changes. I have to admit, we gave ourselves a tiny headstart by removing the cabinet doors and drawer fronts a few days before the challenge started. We have a little trip planned in the middle of the ORC, so I didn't want to lose any time and get behind! Painting the cabinets is probably the biggest and most time consuming task on our to do list, so we got started as soon as possible once the challenge started, and we're already just about done! Faster than anticipated! I can't wait to show you how they look and share the process of painting them with my HomeRight Finish Max and Purdy brush. Now, we need to finish reattaching the doors and drawers and install the rest of our new flat black knobs and cup pulls from D. Lawless Hardware. This week I also painted the one long wall in our kitchen with Sherwin Williams Eider White using a roller from Purdy. Eider White is a nice neutral color, a light greige. I wanted a really light color on the walls because at some points in the day our kitchen is really dark. Even though our current walls are a bright color, it still feels dark and dreary at times. A nice light almost white color should make the space feel brighter at any time of day. Now, we're getting started on the shiplap which will run across two walls, the wall where our pantry door is and the wall behind the sink. This is another big part of our project, so we'll see how quickly we can get it done. We've got some late nights ahead of us this week! My goal is to cross the big things off our list in the first three weeks... Week one- cabinets, week two- shiplap, week three- backsplash. That way there is plenty of time left to deal with inevitable mishaps along the way. Can we pull it off? Ahhhh! I hope so! Check back next week to see if we've made any progress and to see more pictures! Don't forget to stop by Calling It Home to see how the rest of the Guest Participants are progressing! It's going to look great! 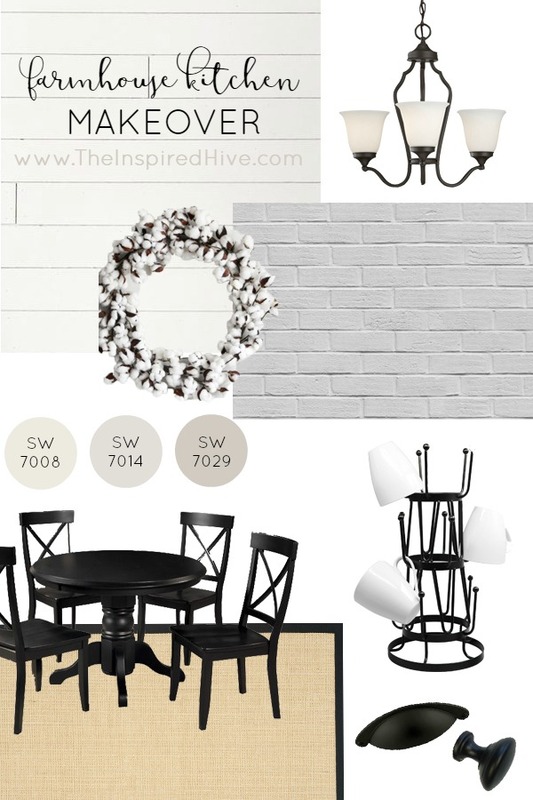 I'm thinking about adding a faux brick wall to my closet, so here to it working out for both of us! Thanks, Iris! Would love to see how it looks in your closet! Ahhhhh, Nicole! LOVE the pops of black! And of course, you know I'm always on board for shiplap! Can't wait to see this space come together!!! Thank you, Kristi! I'm so looking forward to the huge difference shiplap will make!!! This is looking fabulous! And the shiplap will put it over the top!